Come visit Outdoor Lighting Perspectives of Colorado at the Denver Home Show. We’ll have the latest LED landscape lighting, LED architectural lighting, and Lighting Control Automation(TM) products on display. Also stop by to sign up and take advantage of our exciting show specials that will be in effect through April 30th of this year. 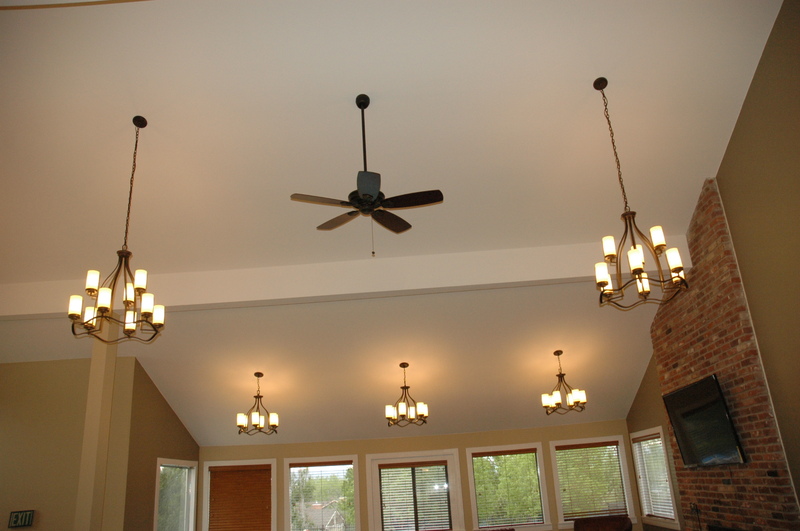 Outdoor Lighting Perspectives of Colorado is a full-service outdoor lighting design, installation and maintenance company for residential, municipal, and commercial projects – and we design and install lighting automation controls as well. Of course we still design and sell low voltage quartz halogen systems, and the great thing about our lighting products is that we can retrofit any of the fixtures we have already installed to LED whenever the homeowner is ready. 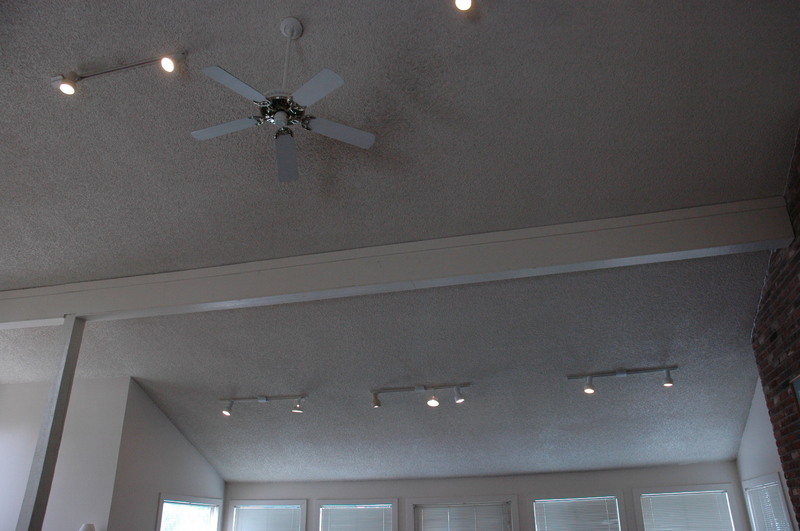 We are also happy to provide lighting energy audits to show the homeowner how much they could save in electrical costs by converting to LEDs. We are glad to do this for any OLP or non-OLP systems. We also provide turnkey holiday lighting products/services and special event lighting throughout the year. ]There are only four days remaining to see the 2013 Colorado Garden and Home Show – and to see the Outdoor Lighting Perspectives exhibit (#1442) where we are showcasing the latest LED products that are truly transforming the landscape and architectural lighting world. Please enjoy the videos below that will provide you with a short tour of our exhibit. 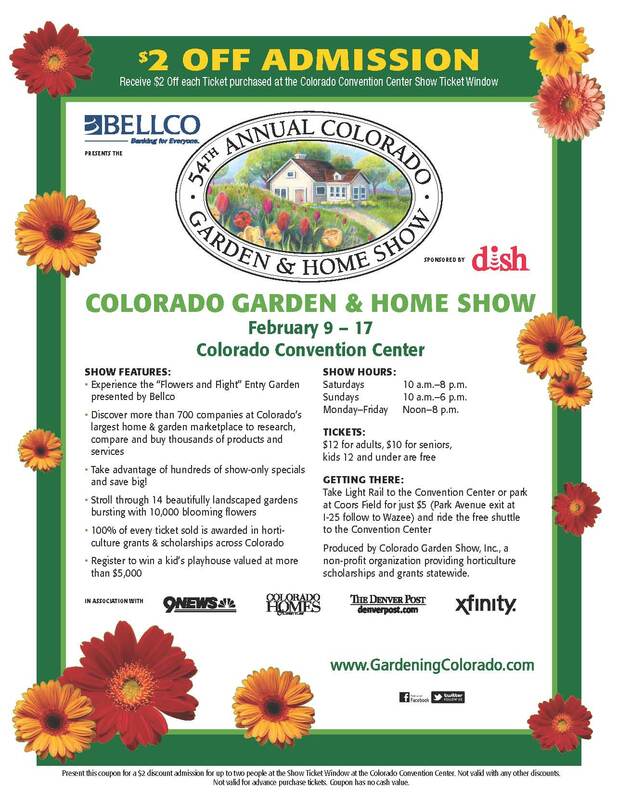 The 2013 Colorado Garden and Home Show is only four short days away – and Outdoor Lighting Perspectives of Colorado would like you to take advantage of the $2 Off Coupon that is shown on the right. Just click on this image, print out a full-size coupon, and take it with you to the ticket windows at the Colorado Convention Center. With the 14 landscaped gardens, the convention center will be filled with the bright colors and scented flowers of Spring. Be sure to stop by the OLP exhibit (#1442) to see the latest in LED products and services for landscape, architectural, and special event lighting. The 2013 Colorado Garden and Home Show starts two weeks from today – so plan to visit our Outdoor Lighting Perspectives of Colorado exhibit (Booth #1442) to see the latest in LED landscape and architectural lighting products and services for your home and property. The 9-day long Colorado Garden and Home Show is the oldest, largest, and most prestiguous garden and home show in the Rocky Mountain West – with over 600 exhibitors, 14 landscaped gardens, and educational seminars. The show is run by a non-profit organization that provides horticultural scholarships to students as well as grants for landscaping projects throughout Colorado. Outdoor Lighting Perspectives of Colorado is a full-service outdoor lighting design, installation and maintenance company for residential, municipal, and commercial projects – and we design and install lighting automation controls as well. Of course we still design and sell low voltage quartz halogen systems, and the great thing about our lighting products is that we can retrofit any of the fixtures we have already installed to LED whenever the homeowner is ready. We are also happy to provide lighting energy audits to show the homeowner how much they could save in electrical costs by converting to LEDs. We are glad to do this for any OLP or non-OLP systems. We are proud to be exhibiting for the fourteenth time at this wonderful show – and we hope to see you there.